Summer is finally here – and what better way to celebrate than by enjoying a drink in the great outdoors? Whether it’s a lazy Sunday, a post-work tipple, or a well-earned break from a house move, nothing says British summertime quite like a classic pub garden. 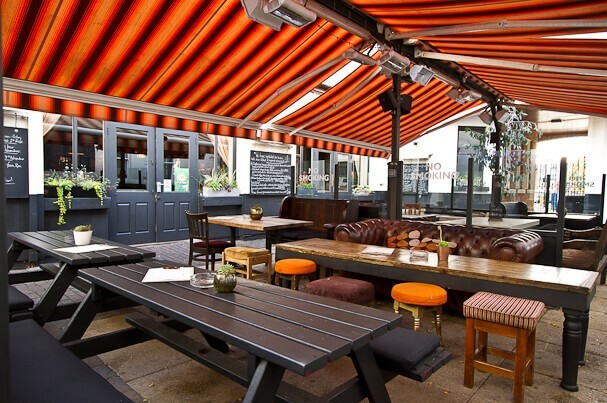 At Titan, we know that moving house, or putting anything into storage during the summer months can be thirsty work, so we’ve scoped out the best pubs and beer gardens where you can take a break- and even better- they’re just a stone’s throw from our stores! Conveniently situated just 2.5 miles from our Woking storage facility in the pretty village of Horsell, The Red Lion is a great option for a drink in the sun. The pub boasts a stunning and very spacious beer garden, with plenty of seating for those hoping to bask in the sun in a glorious setting. For those who would rather take shade from the rays, there is more seating in the picturesque barn that runs alongside the garden, which can be booked for lunches and dinners al fresco! If you like to kick back in style, The White Horse is the pub for you. Once a lemonade factory, the building is full of character and charm, including a stylish heated beer garden. Not your average English beer garden, this outdoor space is more an urban oasis- grass and trees are replaced with quirky, mismatched tables and stools and heated canopies to keep you warm into the evening hours. Connected to the building by large, glass panelled doors, the garden becomes an extension of the pub and creates a fantastic atmosphere for drinking and dining. 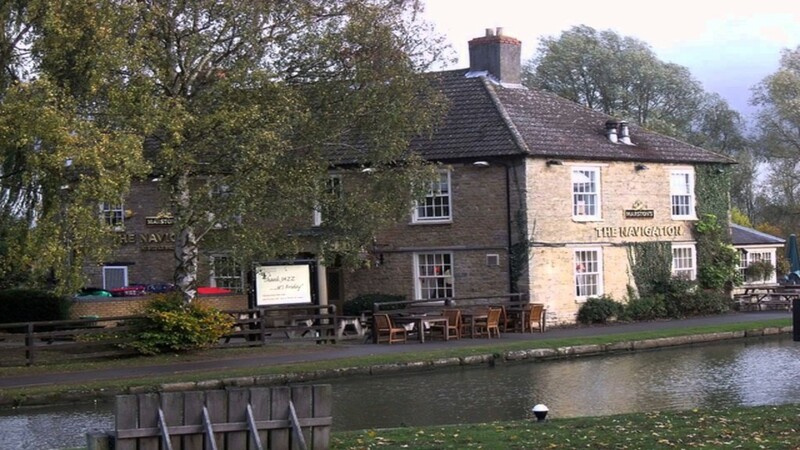 Situated a short 15 minute drive from our Solihull store, The Navigation is a beautiful country pub in Lapworth, with an incredible canal-side beer garden. A stunning retreat from the city of Birmingham, the pub boasts enviable scenery and plenty of outdoor seating. What could be better than watching the canal barges pass in the summer sunshine, with an ice-cold drink in hand? The Navigation is surrounded by National Trust properties, making it the ideal pit-stop for walkers and cyclists passing by the idyllic spot. 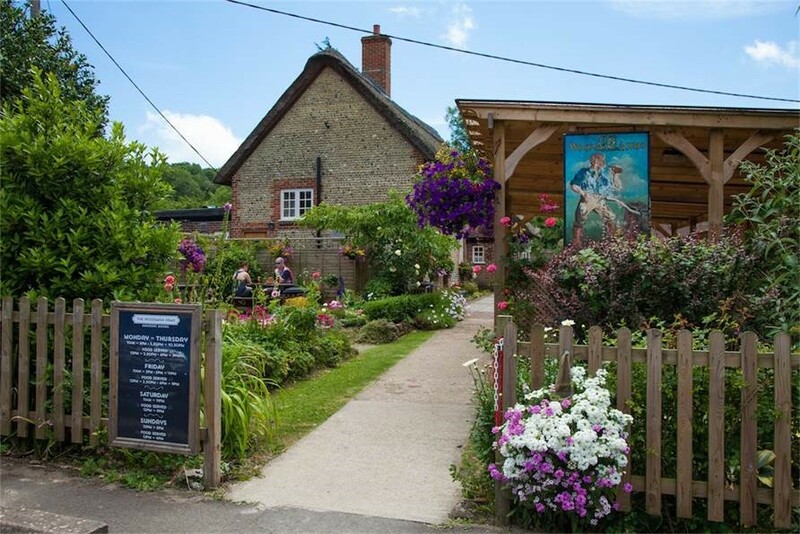 Described as a perfect example of a traditional ‘roses-round-the-door’ country pub, The Woodman Arms makes for a picture-perfect setting in which to enjoy food and drink in the summer months. Surrounded by beautiful Sussex countryside complete with bluebell fields and walking trails, this gem has all you’d expect from a quintessential English pub, from a thatched roof to an award-winning beer garden. Bask in the sunshine in the stunning and impeccably kept garden, which has ample seating in the sun or under cover in the shade. At Titan we aim to keep the customer at the centre of our business, and have stores in a wide range of locations to ensure the experience of storing your belongings as convenient as possible. If you will be needing storage space this summer, whether it be a small compartment or a large space, we’re sure to have what you’re looking for. Get a quote today! 10 top tips for getting the most out of your suitcase this summer holiday!